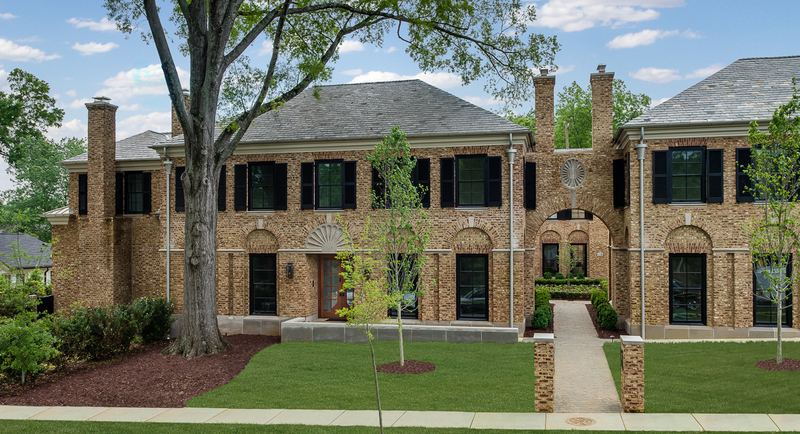 Kenwood Cottage Place is a luxury 6 unit development situated in a prime Eastover location with only two homes remaining. Each unit has 10 foot ceilings up and down, high-end finishes, open floor plans, cove molding, gas appliances, two interior masonry fireplaces, private elevator, attached 2-car garage, "smart-wiring", insulated walls and ceilings, and a private yard with a fireplace. Exterior features include hand-made brick in a Herringbone pattern, reclaimed slate roof, limestone surround on all windows, limestone shell over the front door, and zinc gutters and downspouts. There is also a beautifully designed common courtyard with cobblestone pavers.